The Kunsthalle Bern owes its existence to the initiative taken in the matter by the Bernese Artists' Society. 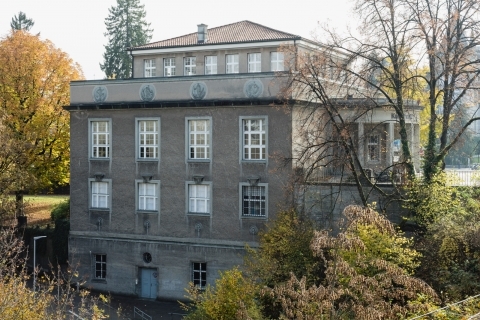 Ever since it opened on October 5, 1918, the Kunsthalle Bern has treated the public to a wide range of art by Bernese, Swiss and international artists. It has made a reputation for itself worldwide by featuring solo shows by the likes of Klee, Giacometti, Moore, Johns, LeWitt, Nauman, Buren and still more, as well as theme shows such as Szeemann's. "When Attitudes Become Form." The Kunsthalle Bern considers itself as a venue where the phenomena of our day can be artistically set forth and critically examined. To this end, it organizes from six to seven group and solo shows a year, together with public tours, lectures and discussion groups. The range and variety of the work of Isa Genzken (born in 1948 in Bad Oldesloe, Schleswig Holstein) continues to surprise. Since the 1970s, the artist has made baffling changes in her work while at the same time developing a consistent oeuvre. Her artistic practice comprises photography, film, painting and works on paper, yet her central interest is in the potential of sculpture, in the sculptural aspects and the architecture of things.